Glass Door Inserts Temecula: How Are Glass Doors Made? How Are Glass Doors Made? Glass is all around you, whether you realize it or not. Windows, drinking glasses, eyeglasses, watches, canning jars, storage containers, light bulbs, front doors — you probably use these items every day, but how often do you think about how the glass is made? We’re guessing not very often. But glass is actually an incredible product! 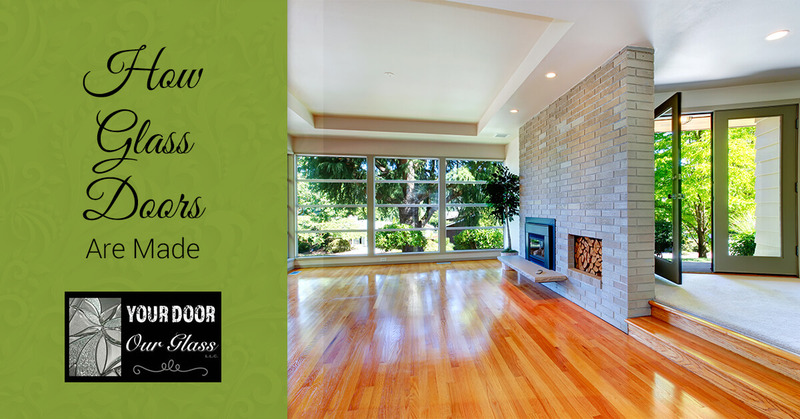 At Your Door Our Glass, we know the ins and outs of glass, so we know what it takes to create glass door inserts that are not only durable and strong, but create an aesthetic look in your home that everyone will notice. So whether you have colorful stained glass on an exterior door or clear windows, learn some more about how it’s all made. When you go to the beach, it’s hard to imagine that you’re sinking your toes into the very product that we make glass out of! And even though the scene in the movie “Sweet Home Alabama” was romantic, this is incredibly hard to actually do (meaning, don’t try it yourself). However, when sand is heated to an incredibly hot temperature of around 3090℉, it melts into a liquid. We won’t go into the deep chemistry of glass, but when the liquid, or molten, sand cools, it transforms to become glass! Glass is generally made in a plant, where sand is mixed with other materials, including waste glass that comes from your recycling bin, soda ash, and limestone. All of these materials are heated in a furnace, or kiln, and then poured into molds for glasses or containers. To make sheet glass, the liquid is poured into a large container of molten tin. Then, the glass floats to the top and creates a sheet of glass. As the glass is cooling, it can be shaped or molded into different forms, or color can be added to it. After the glass is shaped, it goes through an annealing process, which will help increase the strength of the glass. It also goes through a tempering process, which is also used to strengthen it. When creating glass door inserts, a design is created and glass pieces are cut to fit the design. Special tools like dividing irons and grozing irons are used in order to cut the glass and create the exact shape necessary. The color is then painted on each piece using vitreous paints. The paints contain powdered glass particles that, when heated in a kiln, would melt the particles that causes them to fuse to the glass. Each piece of glass is then joined together with a strip of lead. 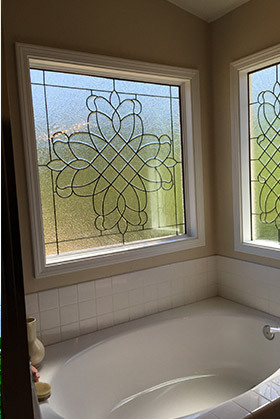 At Your Door Our Glass, we love creating unique, and even custom designs for the homes of Temecula. You should love every aspect of your home, including the front door and windows! Small details or larger panels, we want every piece to be created with precision so that everyone who walks into your home will notice the beauty. 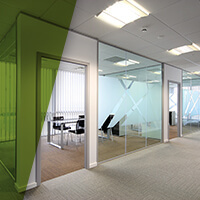 If you’re looking for glass inserts for your doors or windows, get in touch with the glass experts at Your Door Our Glass. We love glass and can’t wait to show you what we can do!